TORONTO, ON--(Marketwired - June 21, 2017) - Wesdome Gold Mines Ltd. (TSX: WDO) ("Wesdome" or the "Company") is pleased to provide an update on underground drilling activities and upcoming exploration ramp development at its 100% owned Kiena Mine Complex, in Val d'Or, Quebec. 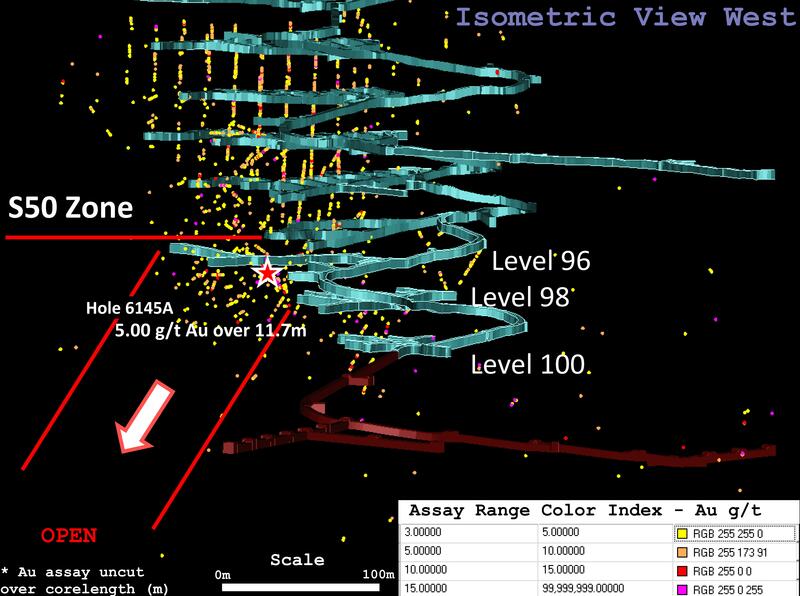 On May 3, 2017, Wesdome announced plans to drive an exploration ramp to provide enhanced drill coverage of the Kiena Deep discovery, which remains open at depth and along strike. The ramp is scheduled to commence in August and take 9 - 10 months to complete (see Figures 1, 2 and 3). The company has received bids from six qualified contractors with the aim to award the ramp development work by July 1st. As it currently stands, the Kiena Deep target cannot be traced further efficiently from existing workings. The Company expects to have initial new drill stations available to restart Kiena Deep drilling as early as September - October, 2017, concurrent with ramp development activities. 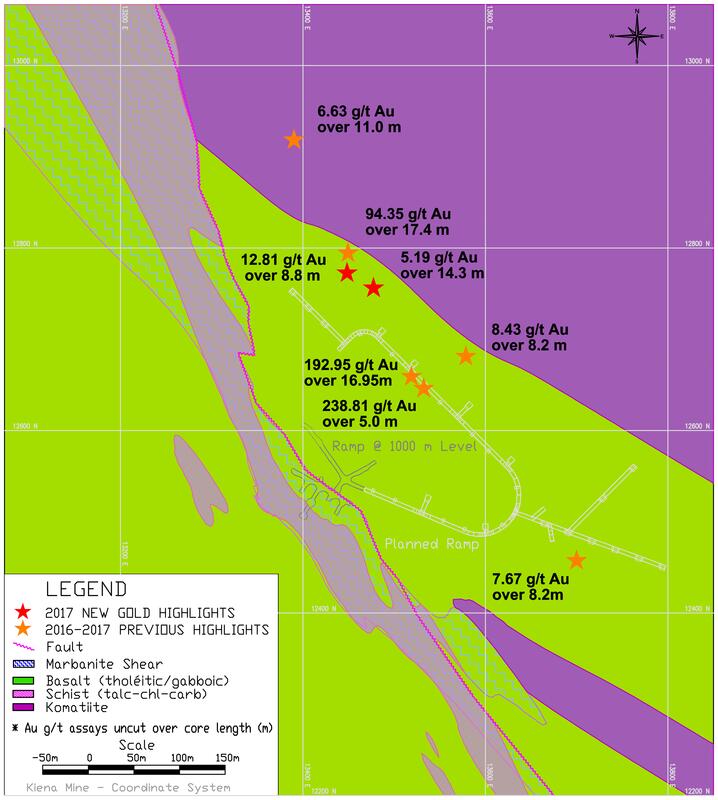 The present drill program encompasses 2 drills tracing auxiliary targets, which are close to existing workings, open at depth, and demonstrate near-term development potential (see Figures 4, 5 and 6). 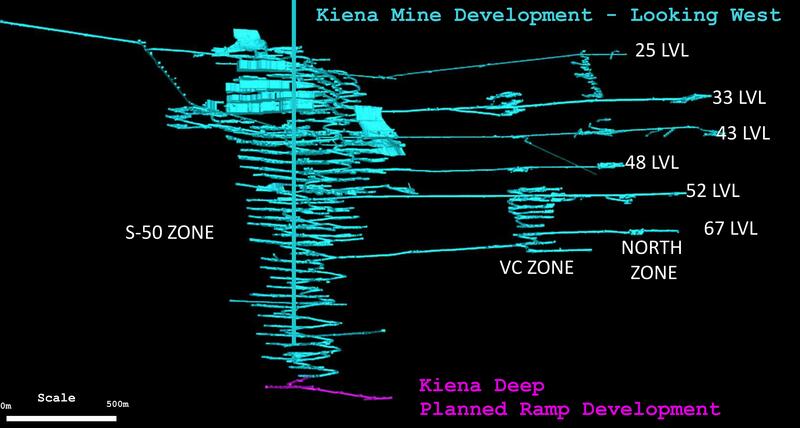 Mr. Duncan Middlemiss, President and CEO, commented "The two drills currently underground at Kiena will focus on drilling other prospective targets including the VC and S50 Zones, which are located close to existing infrastructure. The current pause on the Kiena Deep exploration gives the Company ample opportunity to further delineate existing resources which could potentially aid in a recommencement of production in the short to mid-term. Kiena has a strong resource base from which to work, with measured and indicated resources of 2.5M tonnes @ 5.59 g/t Au for 449,300 ounces contained and inferred resources of 1.6M tonnes @ 7.97 g/t Au for 400,400 ounces contained. It is a large property with three former producing mines and eight shafts located within. 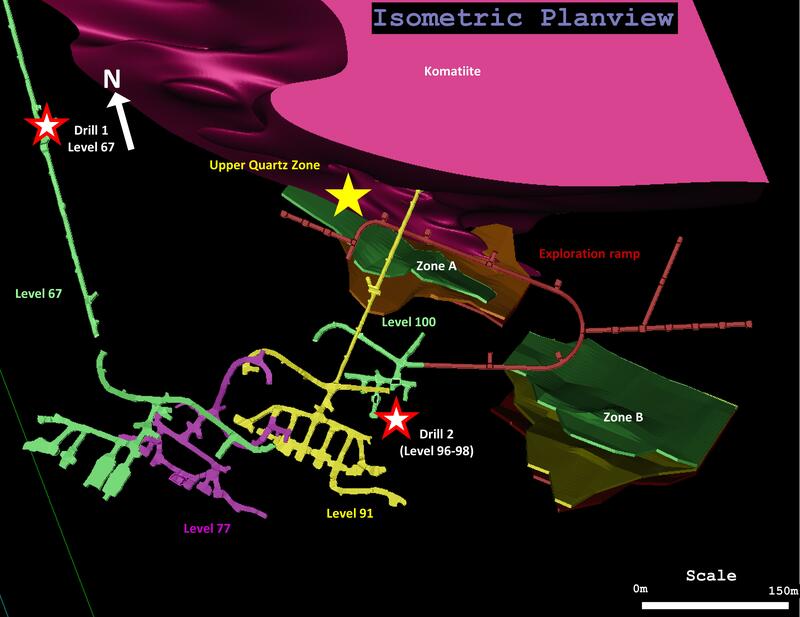 We believe the Kiena Deep Zone may be the anchor which establishes future production and allows for a thorough examination of this high potential property." 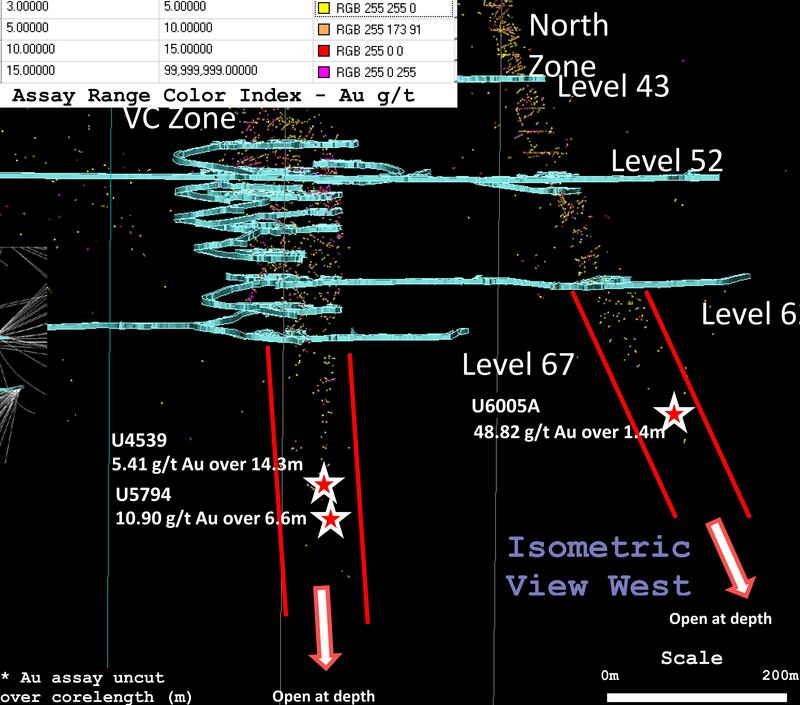 The Company is currently drilling the VC Zone at depth and the S50 Zone where it is immediately accessible from the 960 m level and the 980 m level. At shallower depths there is identified potential for the S50 southeast lens and the South Zone, which remain open below 330 m level. Partial assay results have been received from our first hole drilled in 2017. The technical and scientific disclosure in this press release has been prepared and approved by Marc Ducharme, P. Geo. 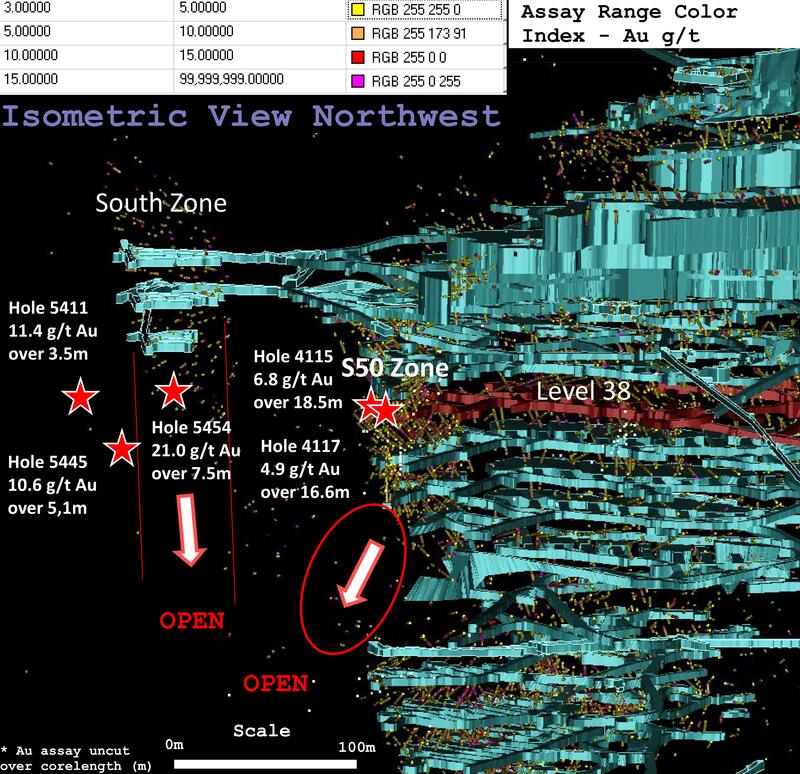 (OGQ #597), Chief Exploration Geologist of Wesdome and "Qualified Person" as defined by National Instrument 43-101 disclosure standards. Analytical work was performed by Techni-Lab (ActLabs) of Ste-Germaine-Boul�© (Quebec), a certified commercial laboratory (SCC Accredited Lab #707). Sample preparation was done at Techni-Lab (ActLabs) in Val d'Or (Quebec) and assaying was done by fire assay methods at Techni-Lab (ActLabs) laboratory in Ste-Germaine-Boul�© (Quebec). In addition to laboratory internal duplicates, standards and blanks, the geology department inserts blind duplicates, standards and blanks into the sample stream at a frequency of one in twenty to monitor quality control.